The Special Operations Forces Combat Assault Rifle (SCAR) is a gas-operated (short-stroke gas piston) self-loading rifle with a rotating bolt and a firing rate of 625 rounds/min. It is constructed to be extremely modular, including barrel change to switch between calibers. 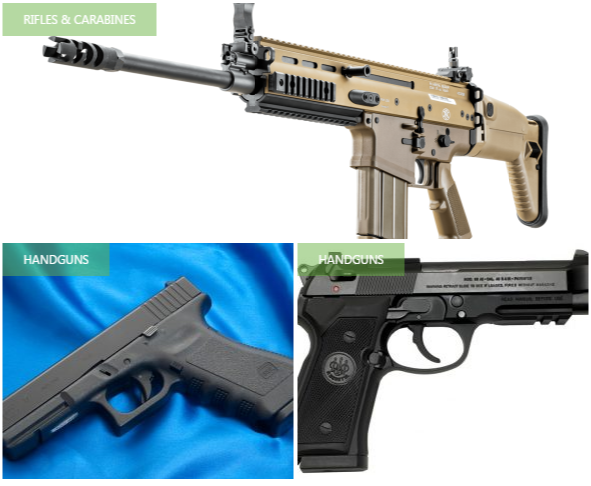 The rifle was developed by FN Herstal (FNH) for the United States Special Operations Command (SOCOM) to satisfy the requirements of the SCAR competition. This family of rifles consist of two main types. The SCAR-L, for “light”, is chambered in the 5.56×45mm NATO cartridge and the SCAR-H, for “heavy”, fires 7.62×51mm NATO. Both are available in Long Barrel and Close Quarters Combat variants. 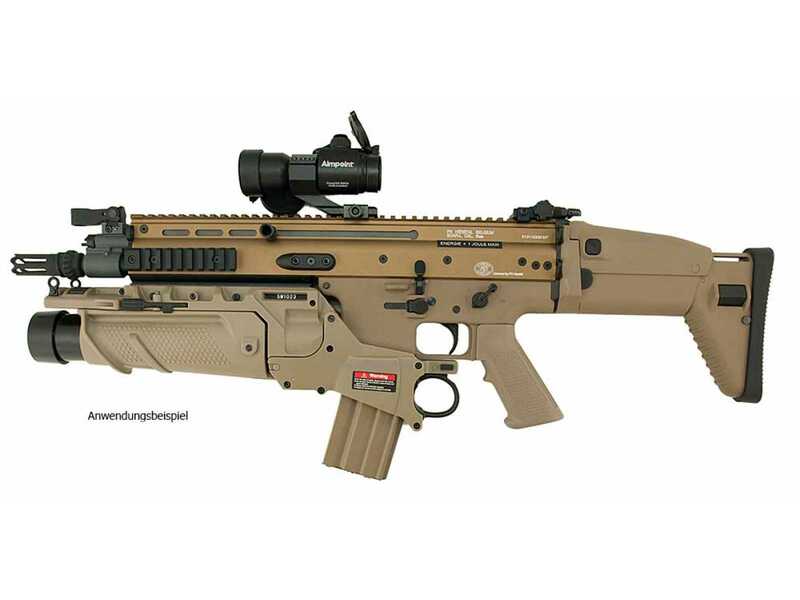 The FN SCAR systems completed low rate initial production testing in June 2007.After some delays, the first rifles began being issued to operational units in April 2009, and a battalion of the US 75th Ranger Regiment was the first large unit deployed into combat with 600 of the rifles in 2009. The US Special Operations Command later cancelled their purchase of the Mark 16 (or MK 16) SCAR-L and planned to remove the rifle from their inventory by 2013. However, they will continue to purchase the Mk 17 SCAR-H version, and also plan to purchase 5.56 mm conversion kits for the Mk 17, supplanting the loss of the Mk 16.